Okay maybe there really should be no comparison but for years I have gone to Paul Mitchell School (formerly Von Curtis). I liked them because they were cheap and so am I. This month I decided to try out Sport Clips. A friend from work had recently gone there and had a funny story (I'll save that for another time.) 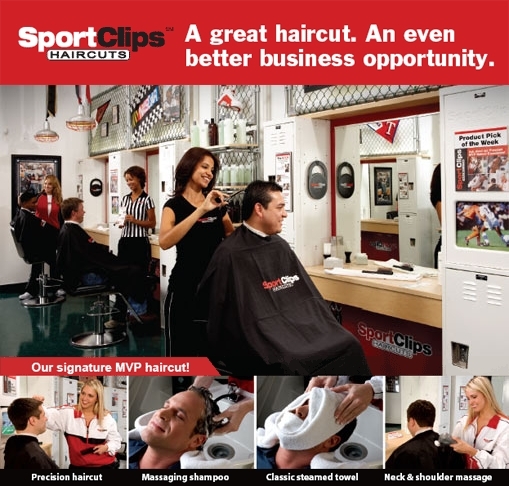 In any case I found out that there is a Sport Clips in south Orem not too far from my home. Whereas the Paul Mitchell School is way down in Provo up against the mountain south of BYU. Normally at Paul Mitchell I would pay $10 (including tip) for a haircut. That's a great price. But lately I've been thinking about how I have to drive all the way down there. Then they are never ready for me. So I end up waiting and waiting. Then the girls are generally not very fast either. And sometimes you might get the girl who should be the "beauty school dropout." I got her at least once but I think she went back to Guatamala because she didn't understand a word I was saying. (Small problem when you are telling them how to cut your hair.) But I digress. I walked into Sport Clips without an appointment just on a whim thinking I would try it out. I came well equiped. I had a new book I was just starting to read and a 44oz Diet Dr Pepper. (And you know how I love Diet Dr Pepper.) I walked in and to my suprise the front desk girl told me it would be about 5 minutes, which it wasn't. As soon as I could settle myself down to start reading I was greeted by Courtney. She took me back and got right to work. I kind of explained what I wanted done and it was a big change. I was a little nervous since I was new there, but Courtney just started cutting away. Apparently she is pretty good at it. She talked a fair amount and made the time go by even faster. To my suprise she did a great job and she did it so quickly! After the haircut I opted for the additional "Triple Play." (Cheesy name, I know.) Anyway it was a shampoo with Paul Mitchell's Tea Tree shampoo, which is amazing. (I was already familar with that part.) But then it also came with a steamed towel over the face while she massaged my head. I gotta say I wish it would have lasted longer. It was incredibly relaxing. In the end I paid $20 including tip at Sport Clips. My verdict? It was worth it on time savings, gas, and the overall experience. Oh and one last note: they gave me a coupon that is good for $2 to $5 off of my next four visits. I love a coupon. Here's where the local Sport Clips is located at 254 E University Parkway in Orem. All of the sudden, I am in the mood for a haircut.